Stainless steel or aluminium alloy. RELIANCE 'S range of instrumentation gears includes plain and antibacklash gears and pinions. They are available in stainless steel or aluminium alloy with a standard pitch range 0.2 to 0.6 module and tolerances up to AGMA Q14 (DIN Q3). For the miniature component market Reliance offers a range of miniature antibacklash pinions with outer diameters as small as 11.6mm. For concentric and secure clamp mounting Reliance has released the Reli-a-Grip clamp hub gear range. It was designed to enhance the torque capacity of the Reli-a-Flex one-piece coupling, without having to resort to set screws. Its cross slit design produces consistent pressure around the whole of the shaft/clamp interface. 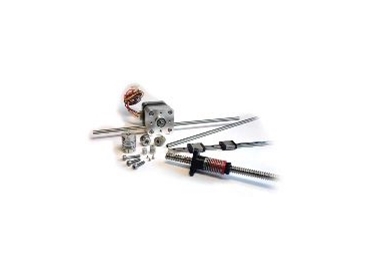 The Reliance range also includes leadscrews, Reli-a-Flex flexible shaft couplings, racks and pinions, tubular rack actuators, linear slides, shafts, bearings and specialist fasteners. The company also produces sub-micron machined components, intricate mechanisms and associated components for position measurement and feedback applications.